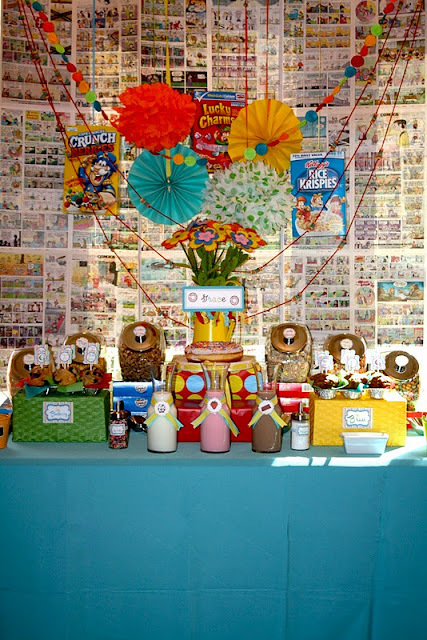 This weekends party feature goes to this super clever BREAKFAST MEET & EAT BABY SHOWER submitted by Nicole Gould of Million Dollar Smile Celebrations! Love it! 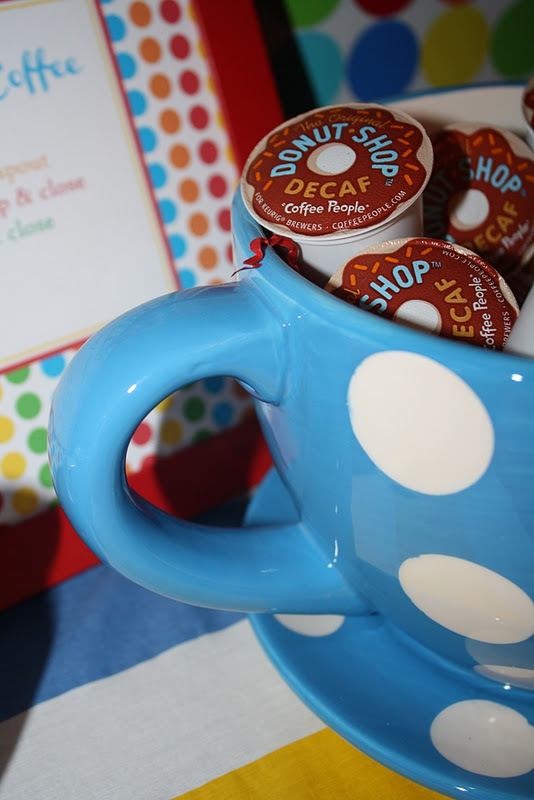 Instead of a "Sip & See" Nicole planned a wonderful alternative. I love all the doughnuts, cereal & "morning newspapers". 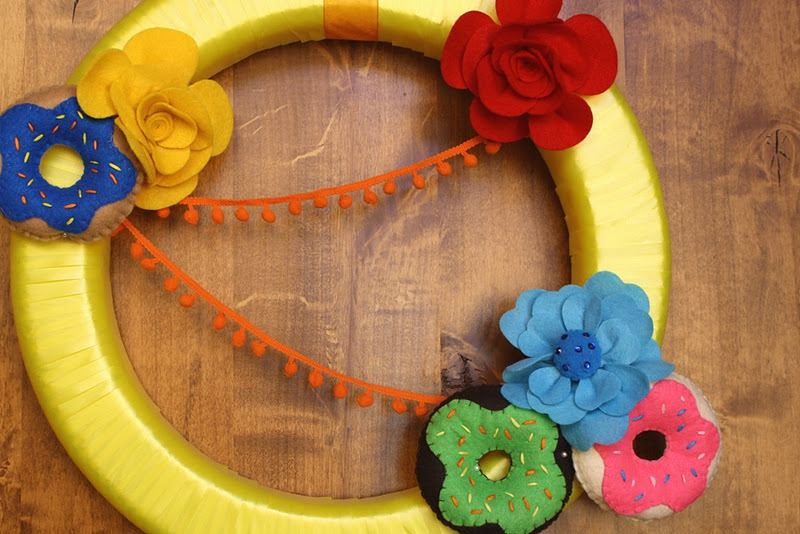 Look at the felt doughnuts on the door wreath! Everything is just so cute. 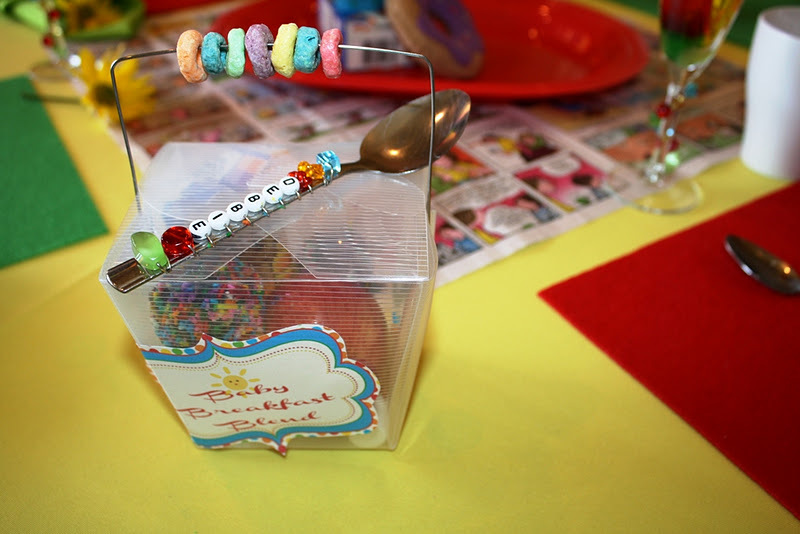 Invites – Guests received mini cereal boxes that included a clear sealed bag with an adorable slide-open invite and a funky and fun fashion ring (every cereal box needs a prize, right?)! 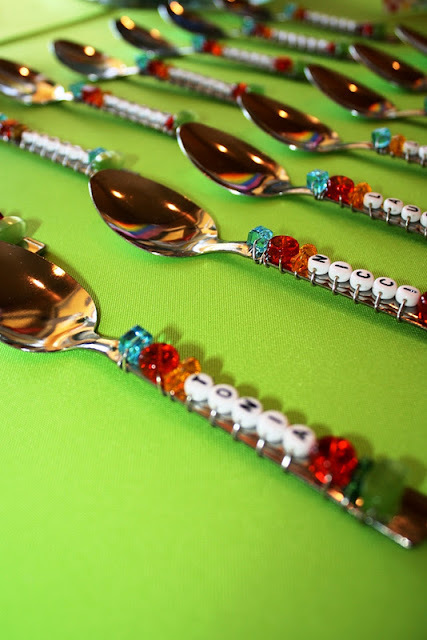 The invite featured a real Fruit Loop acting as the “O” in the saying “Oh, isn’t she sweet?”. The bag was sneakily placed and resealed into the cereal box. 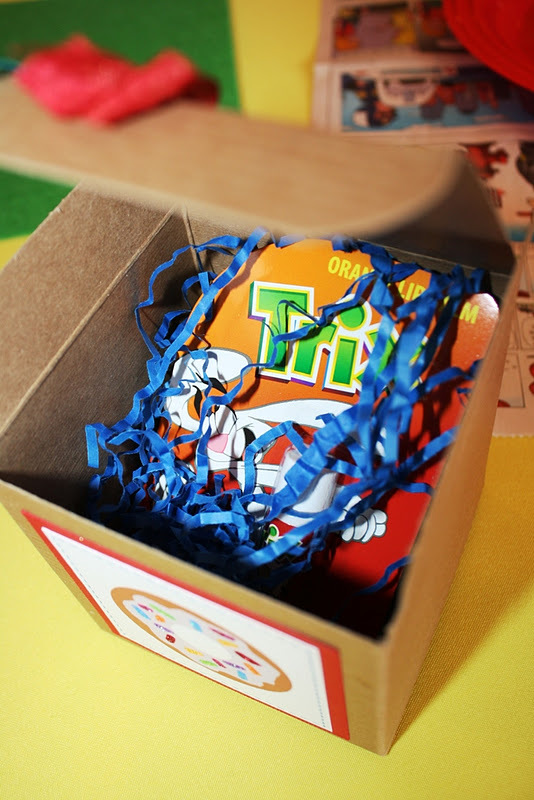 A custom sticker displayed on the front of the cereal box said, “Look: Prize Inside”. Edible and interactive… guest RSVP’d eagerly to see (and taste) more!!!! 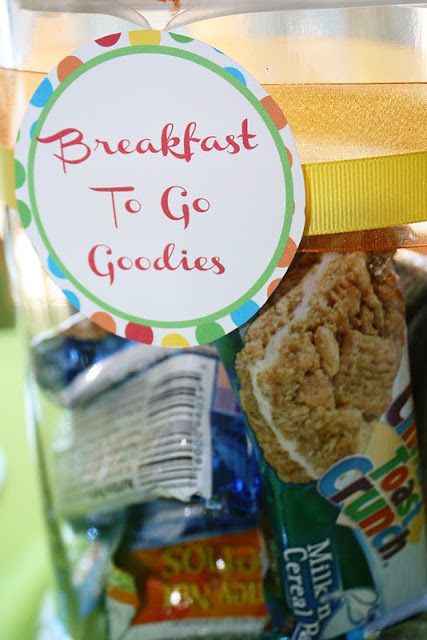 Food – Guests filled their plates and bowls with a variety of breakfast treats and eats. A donut shop, including a K-Cup ‘U Brew’ station displayed the brightest and yummiest Dunkin Donut specialties (Yes, they do custom orders). 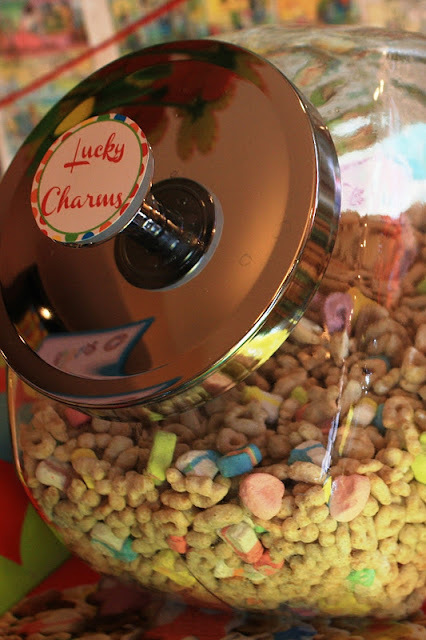 A cereal buffet indulged guests in their favorite childhood cereal and included several flavors of milk and crazy toppings like sprinkles, sugar, chocolate chips, and marshmallow confetti. N’Counter, Grace’s mommy’s favorite breakfast spot, provided the most delicious bran and blueberry muffins. A whopping 12 inch, fresh-baked donut displayed Grace’s banner, hand-glittered by The Purple Pug, and set the centerpiece for the display. For the health conscious, fresh fruit and healthy breakfast bars filled up glass bowls on shelves. Drinks – Mommy’s allowed to have a mimosa so why not make it one to remember. 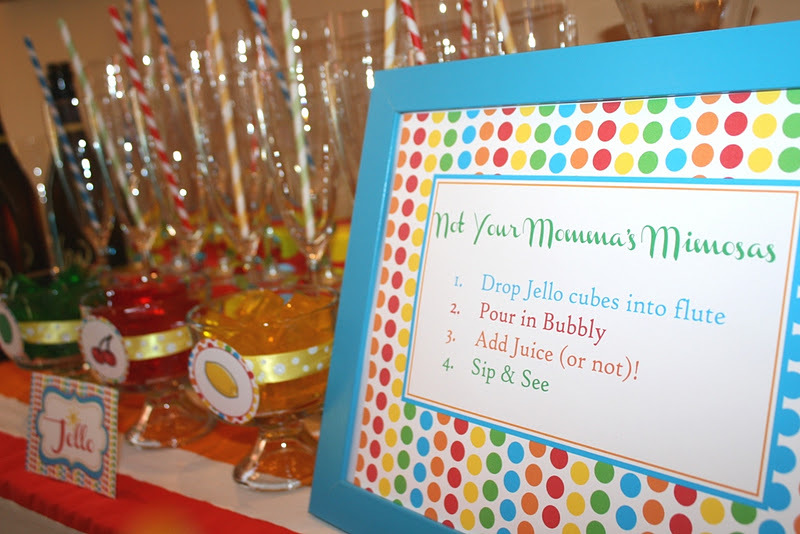 Jell-O cubes were placed in flutes for a bright and fun twist on the classic cocktail served in flutes with beaded stems. Add juice and bubbly, then sip & see. A couple of guests were baking little buns of their own so a “Milk Mixin’ Station” allowed guests to drop a Got Milk? 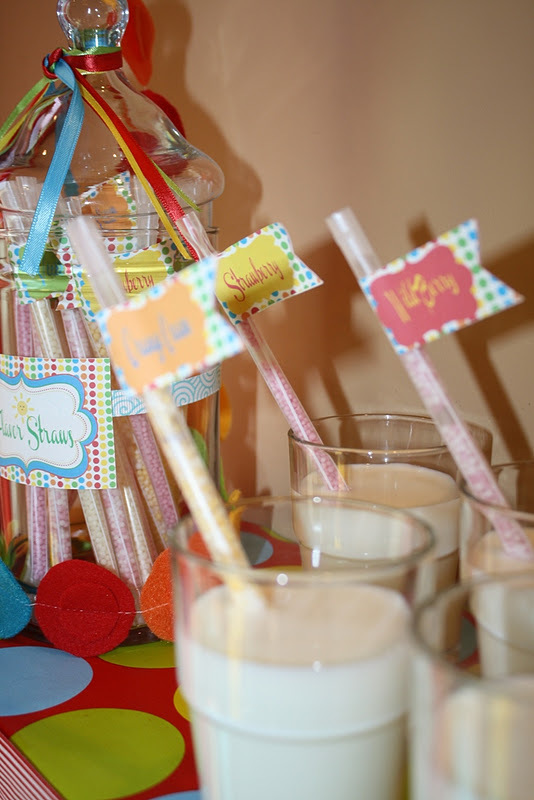 flavor straw into a refreshing cup of the Moo-Juice. Speaking of juice, guests could choose from “Fresh Squeezed” mini carafe bottles or “You Squeeze” orange sippers. Insert, squeeze, and sip (a Purple Pug inspiration)! Décor – With the help of a few strong men, a few rolls of wrapping paper, and some rented tables and linens, my living room and home office transformed into a fanciful and fantastic breakfast hot-spot. Then, Dez from Papercandee, did the rest. She created the most enchanting printable collection perfect for the party. 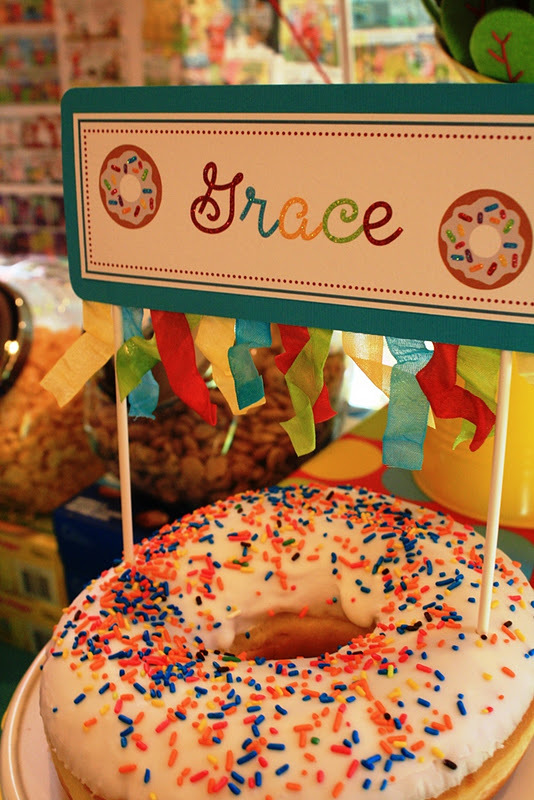 From the tiniest donut flags to the donut-shaped banners; it all incorporated the colors, theme, and the most adorable little sunshine. 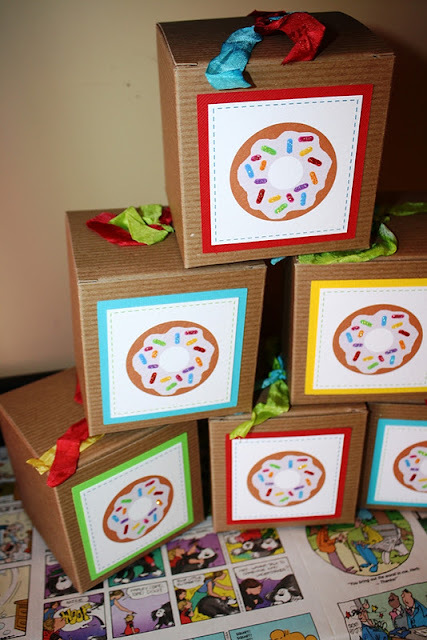 I set the tables with mini centerpieces (tiny cereal boxes, small fabric flower blooms, and felt donuts) and arranged transparent Louis Ghost acrylic chairs around the tables to off-set the rather bright décor around the room. Paper pinwheels, empty cereal boxes, comics, felt garland, fruit loops on yarn and paper poms set the backdrops and hanging décor. 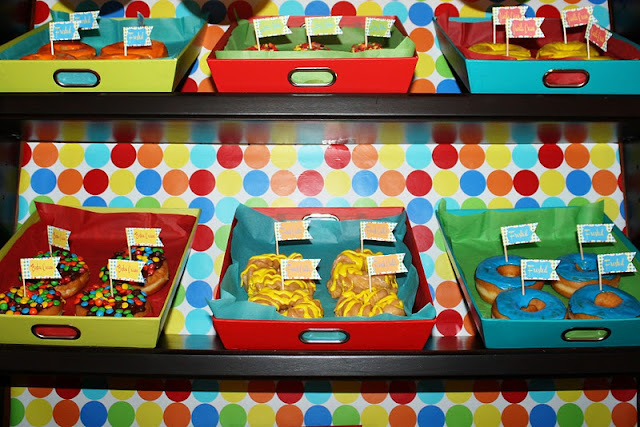 My favorite details were the donut-shape balloons and ‘almost good enough to eat’ flower arrangements. 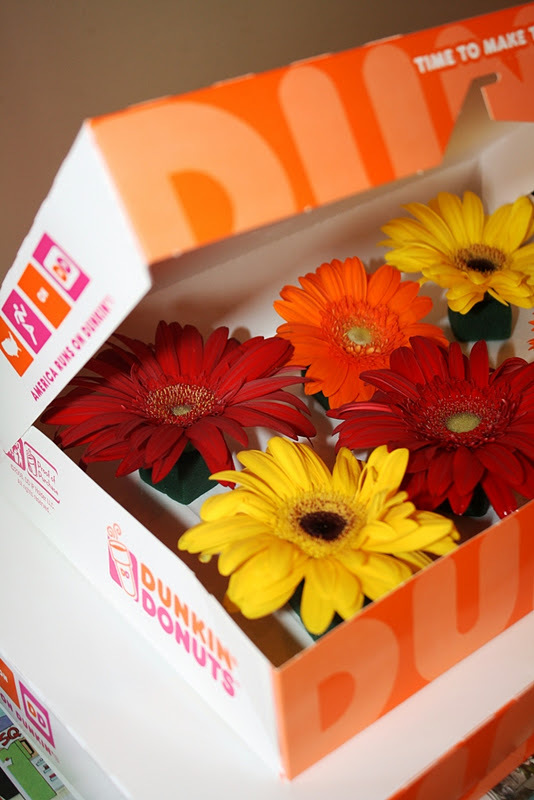 I placed six gerber daisies in empty Dunkin Donut boxes to look like tasty treats. I stacked a few closed boxes, and then left the one with the flowers open for a sneak peek of the flowers inside. 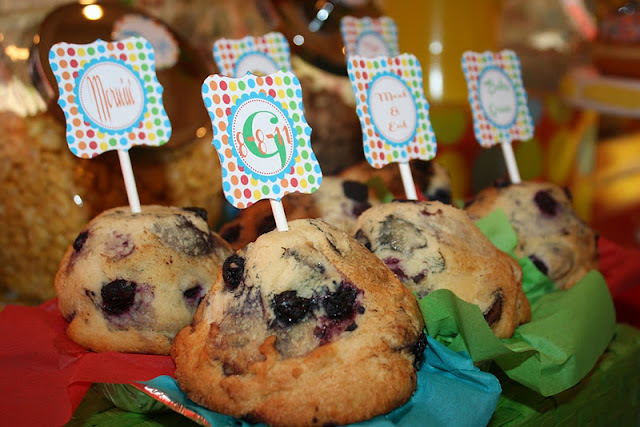 It was the yummiest and most memorable baby debut ever!!!! Nicole is truly talented!!! Thank you for featuring my party. I check in with your blog every morning for my daily dose of inspiration and today I will smile 'ear to ear' all day long!!! wow!! this is amazing! love the theme and all the colors! and the spoons are too cute! GO NICOLE!!! Such a fabulous sip-n-see!! Every detail leaves me drooling, and it's not the details that I contributed. It's the things that Nicole thought up and put together herself. 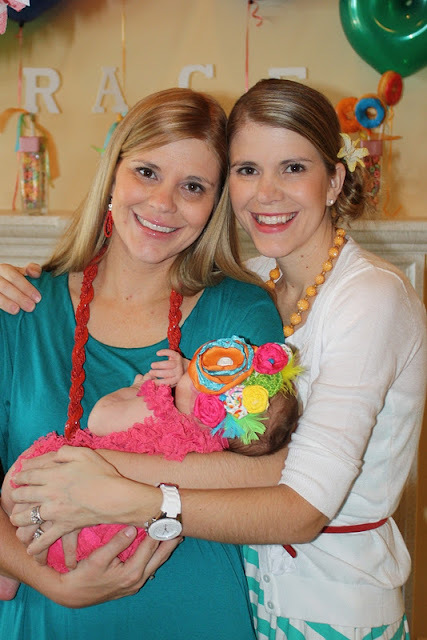 She truly transformed her home into the most colorful donut shoppe I've ever seen! I truly think it's one of the most well thought out parties EVER. and Thank you Kara for featuring her party! This is amazing!! 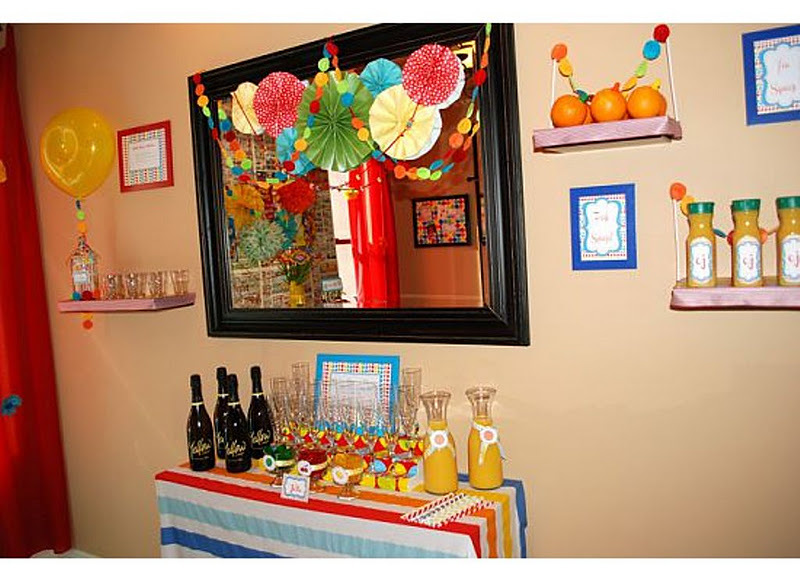 It's so fun to see my garland in such a fun party scene!! This is beautiful, bright and brilliant. 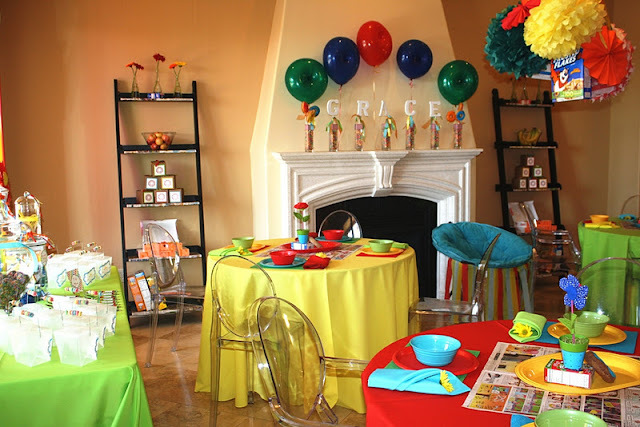 So happy that you were able to find some inspiration from my parties and beyond impressed with all the clever + creative ideas you came up with:) So fun and fabulous!